People to People (P2P) is a MentorCloud partner, a non-governmental, non-profit organization dedicated to improving health care, reducing the spread of diseases, and providing technical assistance in promoting and improving environmental health – particularly in Ethiopia and in diaspora communities. P2P Founder and President is Ethiopian-born neurologist Enawgaw Mehari, MD. The audience for Triangular Partnership: The Power of the Diaspora includes government, international finance, and foreign affairs world leaders, in addition to university professors, reasearchers and students (and, of course, the associates and customers of the authors and their companies and organizations). 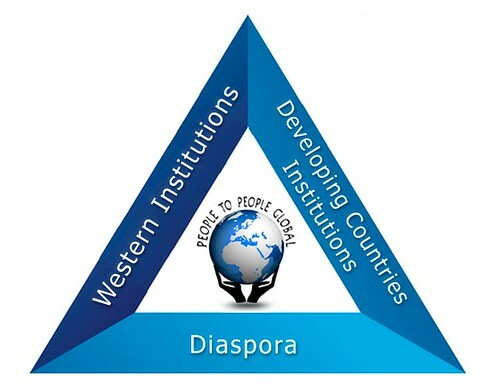 P2P is writing this book to challenge standard-thinking with regard to Africa, Ethiopia and their diaspora communities in light of triangular partnership. In particular, to bring new consideration of the power of the diaspora to effect change in developing countries in Africa. We plan to be done with the content editing by the end of July 2013 – and to distribute a version at the 5th Annual Global Ethiopian Diaspora Conference on Health Care and Medical Education (28 September 2013 in Washington DC). Dr. Enawgaw Mehari and Dr. Kinfe Ggebeyehu are managing the Triangular Partnership project – I am serving as the general editor. Why not self publish? It’s so easy now, and you are more in control. Or you may want to look at Greenleaf Book Group, which has a hybrid model that looks appealing.